This Gift Experience eVoucher is printable from your inbox after purchase and is valid for 12 months from your purchase date. Experience Karting like never before on one of the Largest Karting Circuits in the UK. Televised on SKYF1 this venue is a prime location for motorsport enthusiasts. 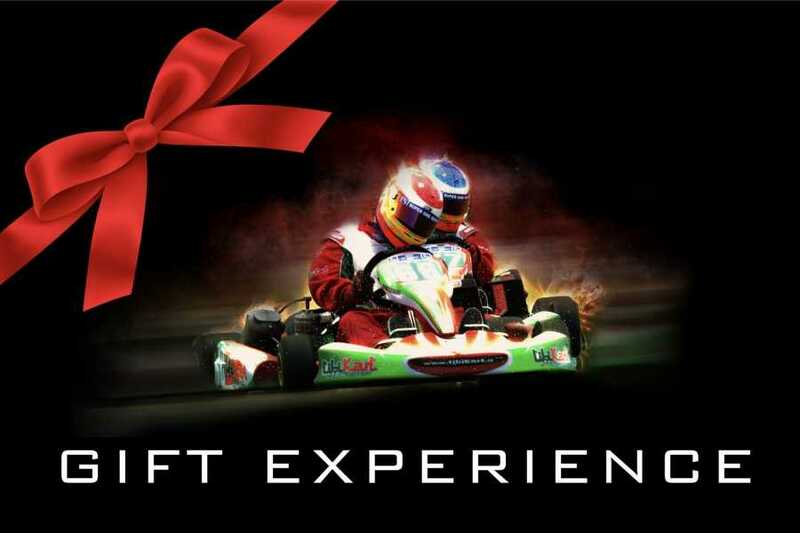 Your Gift Experince includes one Karting Session. Each Karting session is a 10 minuite Race. Multiple Sessions can be booked at a discounted rate on the day. You can add more drivers on the day of your booking. Please arrive 15 minutes early to your booking time. Please allow 1 hour visiting time. Please make sure you allow yourself enough time to complete your experience. To enhance your Racing Experience we recommend you wear a Racing Balaclava and pair of grip Gloves. These items can be added to your booking. You are welcome to wear your own racing equipment. Helmets are required to be full faced.